Even we have a hard time believing that 2017 is practically over. Within the next few days, 2018 will be here and we will again be surprised at how fast the time flew by. It is interesting how quickly the months and years go by. In that regard, Houston homeowners can quickly lose track of time and how long they’ve had their roof. On average, the typical roof lasts about 20 years. 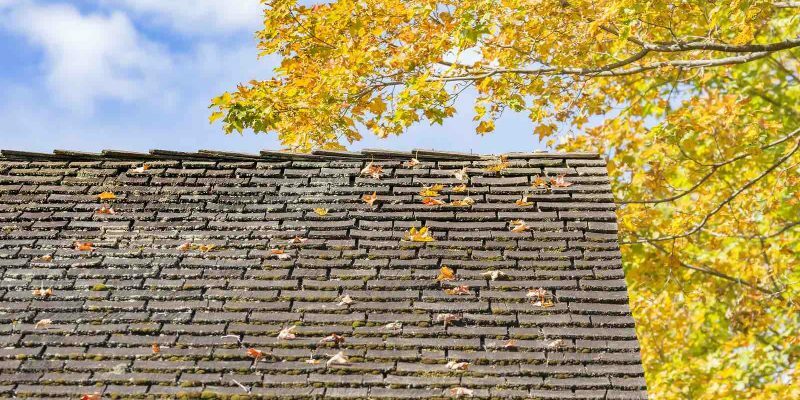 By this time, shingles begin to crumble, break, or fall off. This leaves the interior of your roof exposed and vulnerable to bad weather conditions, like strong winds, rain, sleet, and hail. Even dead leaves can find their way into the openings left by missing shingles. This can create mold and weakened wood in the interior. Once this takes place, the roof repairs will require much more than shingle replacements. Taking care of your roof sooner rather than later can save you a lot of money. As a Houston homeowner, you shouldn’t wait till your roof gets in poor condition. If you wait until you start to see issues within your roof, then chances are there will be more costly problems awaiting. 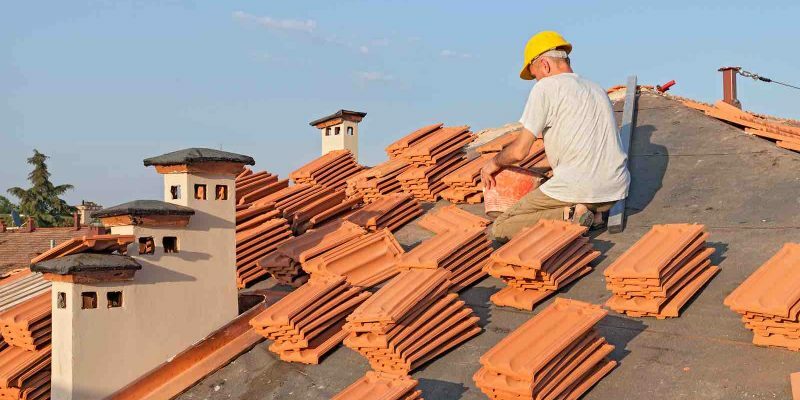 The best way to ensure you don’t waste money and you are able to fix your roof in a timely manner is by contacting our Houston roofing company. When you contact us, we will send one of our roofing professionals to conduct a free roof inspection. 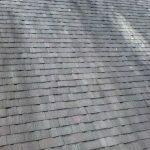 Our roof expert will survey your roof to check the life of your shingles and to assess any current or potential damage. Upon completion of the roof inspection, the roofing inspector will provide you with detailed information about your roof. You will then be able to make the right decision about roof repairs or a roof replacement. This is the best solution for your roof and your overall home. Amstill Roofing offers only the best materials on the market for establishing roofs for our Houston clients. We also guarantee our work, which is why we have become Houston’s most trusted roofing company. Contact us today and ready your roof for the next 20 years. Your home serves you year-round. It protects you from the wind and rain. Keeps you warm during the cold, and, if your AC works, keeps you cool during the brutal summer months. So this Christmas season, give your house a gift it deserves: a new roof. Christmas is only five days away, which means there’s no better time to give you and your family the gift of continued home protection. If you are experiencing roof storm damage, like cracks and breaks where wind and water are able to intrude, then you need get these issues corrected as soon as possible. 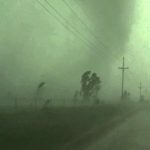 These types of problems can worsen over time with more rain, wind, and flying debris. 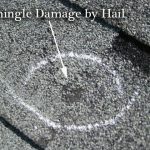 Roof storm damage can cause these cracks and breaks, as well as missing shingles. When shingles are missing, this leaves portions of the roof interior exposed and vulnerable. This can cause damage that can affect the interior of your home, like the attic and even the ceiling. If rain seeps through the roof and onto the sheetrock, it can cause your sheetrock to collapse and can create mold. Both of these issues can be way more costly than they should be. Our roofing experts will come out to conduct a free and thorough roof inspection. At Amstill Roofing, we want to make certain that you and your family are protected as much as possible. If there are any issues that require maintenance, we will point those out to you. Our roofing professionals will also point out issues in the roof that could cause damage, even if there isn’t any current damage. The goal is to head off these types of issues quickly before they cause further damage. So before winter gets too crazy, contact our Houston roofing company today. Whether your home needs slight roof repairs or a complete roof replacement, we are here to provide the best roof work in Houston. This month is predicted to continue on a pretty mild path regarding the weather. No freezing temperatures and not that much rain. 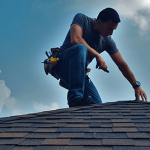 This mild weather means that getting roof repair needs done now will be easier than waiting for more extreme weather, to which Houston is not a stranger. 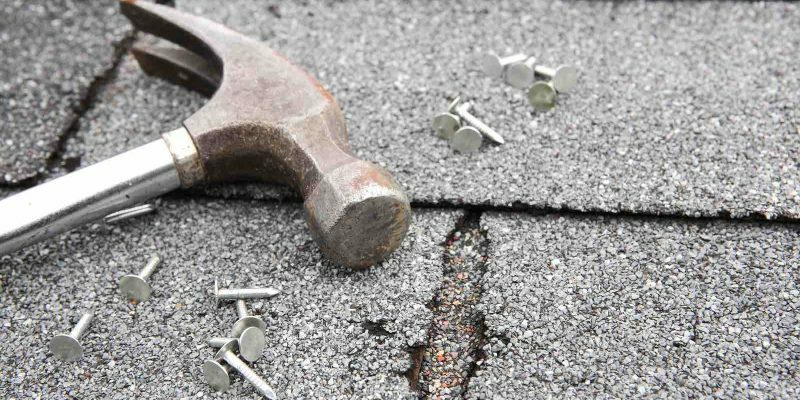 Before or after the Christmas holiday, our Houston roofing contractors are ready to correct any damage your roof may have sustained over the years. You can trust your home to our roofing experts and know that the quality of our roof repair work is not surpassed. We provide only the very best materials along with guaranteed work. 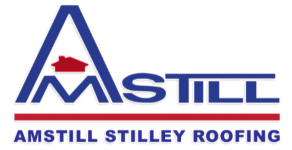 Amstill Roofing is certified by CertainTeed as a Master Shingle Applicator and a Quality Master Shingle Technology. We are also a GAF Certified Weather Stopper. Since 1974, our roofing company has continued to prove its professionalism and capability to provide the very best in roofs. There are only about two weeks left in the year, so why not get your roof fixed now and go into the new year with a solid roof? If your home insurance is about to be renewed, then there is another reason to get roof repair work completed. Quite often, home insurance plans will cover the damage to your roof that has been implemented by storms, falling limbs, or age. Our roofing experts will conduct a thorough roof inspection at your home to check for any possible damage or possibility of future damage. Our roof inspector will also come and join the insurance adjuster during their inspection of the roof to make certain nothing is missed. Don’t wait for bad weather to start taking more of a toll on your roof. Now is the time to start getting long-lasting repairs to sustain the structure of your entire home. A strong roof helps secure a strong home. Contact Amstill Roofing today. The year is coming to a close, which means that Christmas is right around the corner. With the big holiday so close, now is a great time to get a roof replacement. This is the best time, especially since so many friends and family members will be frequenting your home throughout the rest of the month. Christmas parties, Christmas Eve dinners and gatherings, and then the ultimate, Christmas Day. Just consider getting a roof replacement as a Christmas gift to yourself. This gift, however, isn’t just a one-time thing. Nope. This is one of those gifts that keeps on giving. When you purchase a roof replacement from our Houston roofing company, you not only receive top quality work, but you also receive our warranty that lasts throughout the years. Just ask one of our roofing experts about our various warranties. Along with that, when you purchase a roof replacement, you are receiving a solid covering for your home for decades to come. Our guaranteed work and roofing professionalism secures your Houston home by providing strong roof structure and high quality shingles of which there are various types and colors to choose. A new roof will definitely compliment your home and give it that welcoming feel that every house should have this time of year. A beautiful new roof will offer a welcoming view to every guest throughout every year. It will also ensure that your energy bill doesn’t increase unnecessarily. A new roof replaces old, worn out shingles, and eliminates cracks and breaks within the old roof structure. This keeps the elements, like cold and hot air, at bay, which helps your AC and heating units work more efficiently. Now is the time to get your Houston roof replaced. 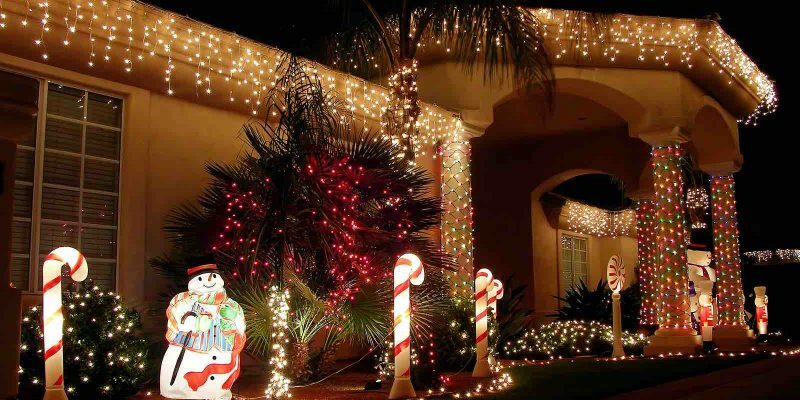 Before you put up the Christmas lights, put up a new roof with high quality and durable shingles. At Amstill Roofing, we have been serving the Houston area since 1974 and we look forward to serving you. Contact us today and see if a roof replacement is what your home needs.